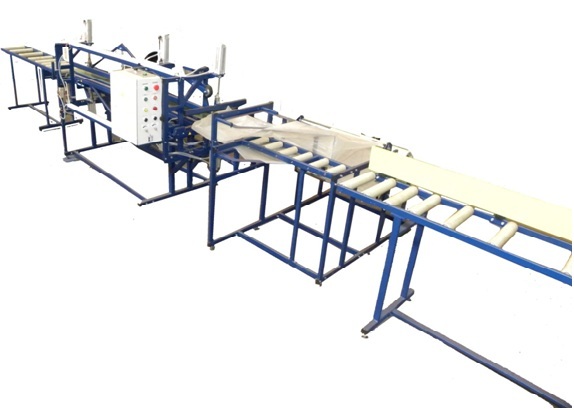 Long products packaging line - SKB "Parus"
PACKAGING LINE is designed for packaging of long products in the polymer film (polyethylene, shrink PE, shrink PVC, polyolefin and etc.) with / without subsequent shrinking. On the line can be packed: flooring, wall paneling, rolls and other long products. Connection - 380V / 50Hz or 220V / 50Hz, 6 bar.